Whether you are looking to make a career transition or interviewing for your first job, UCTV’s Job Won series has the information you need. Experts in networking, resumes, the global job market and more join host Phil Blair, Executive Officer of Manpower West, to discuss skills and strategies all jobseekers should have in their back pocket. Learn how to sell yourself in an interview, how to approach your first networking event, and where the jobs are now. Job Won highlights the essentials to help you build a career you’re passionate about. What is it that makes a leader? According to Cynthia Burnham, author of The Charisma Edge: A How-To Guide for Turning on Your Leadership Power, confidence and power can translate into success in the corporate world and beyond. 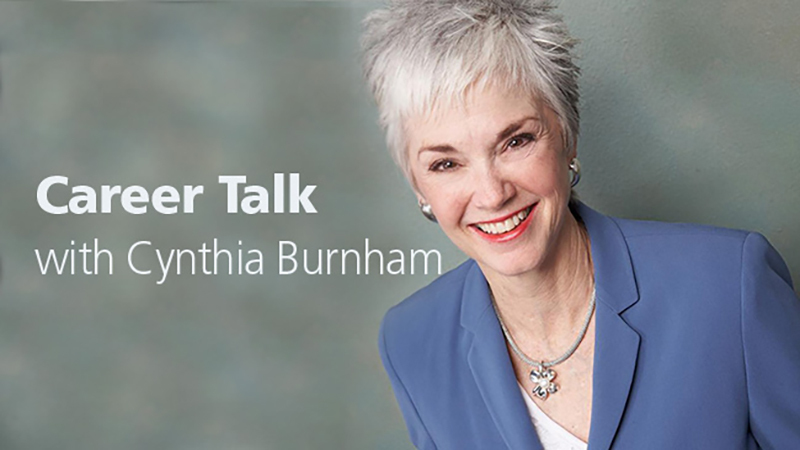 In “What Makes a Successful Leader?,” the latest installment of the Career Channel’s audio podcast series “Career Talk,” Burnham shares her tips on how to construct the confidence needed to be a successful leader. 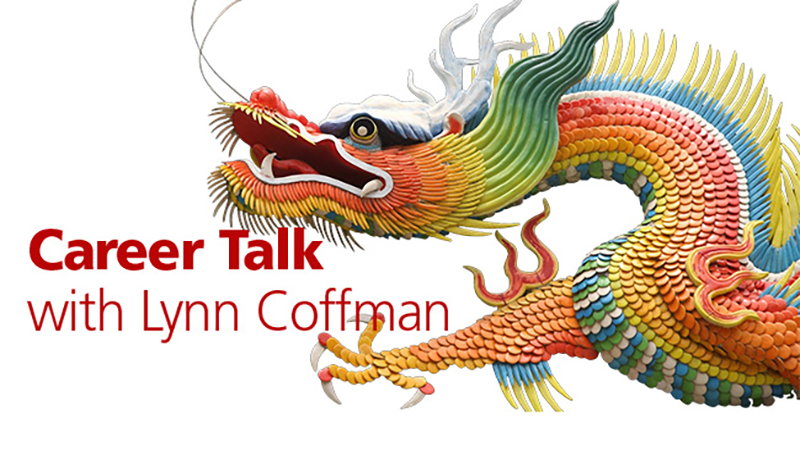 If it’s inefficiency that’s holding you back, tune in for “Minimizing Wasteful Work,” host Henry DeVries’ enlightening conversation with Lynn Coffman, author of Slay the Email Monster. In the corporate world, waste is one of productivity’s largest obstacles, but Coffman offers up some helpful ways to minimize wasteful work and focus effort productively. 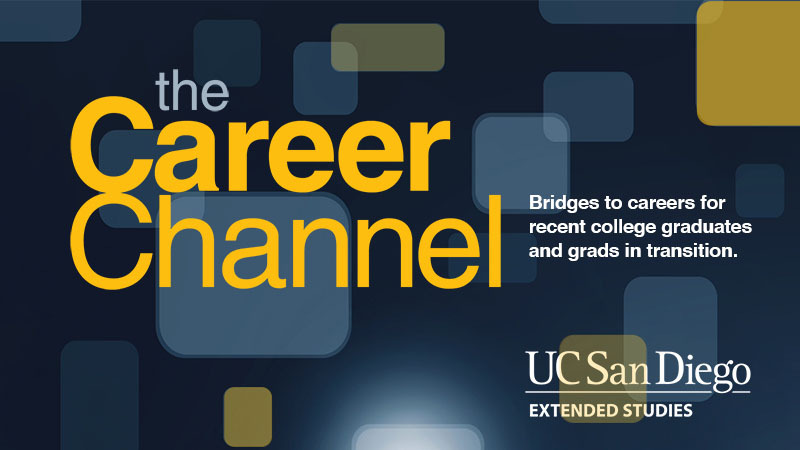 There’s plenty more career conversation happening at UCTV’s Career Channel, powered by UC San Diego Extension, so stop by to see what’s new. And make sure to like the Career Channel on Facebook for the latest updates on workplace issues that matter to you. From Amazon to Whole Foods — and everything in between — these new programs showcase the bright ideas and bold moves from today’s most creative business leaders. …. and more at our website. Don’t miss this fascinating series examining exactly what it is that makes music, musical. Professors of music, literature and psychology decode the mysteries of music and its effect on our brains, our emotions and our lives. Presented by UC San Diego’s Eleanor Roosevelt College. Is the Human Mind Unique? New from CARTA, scientists from different fields discuss cognitive abilities often regarded as unique to humans, including humor, morality, symbolism, creativity and preoccupation with theminds of others. They assess the functional uniqueness of these attributes, as opposed to the anatomical uniqueness, and whether they are indeed quantitatively or qualitatively unique to humans. American poet Billy Collins headlines our annual Spring fling with poetry! Celebrate April’s National Poetry Month by browsing through our amazing archive of readings featuring established and emerging poets from around the world. All programs repeat throughout the month. Visit the Program Schedule on our web site for additional air dates and times. Perspectives on Ocean Science Hits 10 Million Views! Find out why this long-running series is so popular with lifelong learners. 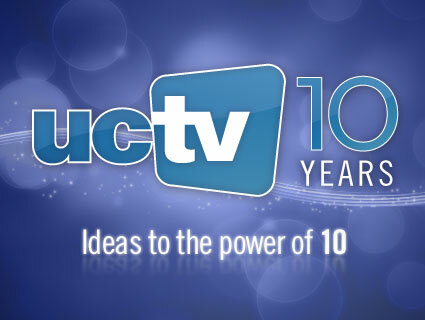 …..and in December, Best of the Decade, featuring the most popular programs of UCTV’s first ten years. Would you have predicted that a 70-minute performance of “Carmina Burana” would be our most popular program of all time with over 3.5 million downloads? What about Dr. Robert Lustig’s takedown of high fructose corn syrup, “Sugar: The Bitter Truth,” which tops our health programs at 1.1 million downloads? 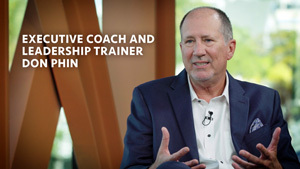 Then there’s the UCLA “Darwin Evolving” series about evolution that captured our top science spot, and Cisco’s John Morgridge sharing his insights on “Ethics and Leadership” in our business category. Not all that surprising was Elizabeth Warren’s 2007 talk, The Coming Collapse of the Middle Class: Higher Risks, Lower Rewards, and a Shrinking Safety Net, which took the top public affairs slot — and seems to grow more relevant with every passing month. And last, but certainly not least, is the always enjoyable Douglas Adams’ talk “Parrots, the Universe and Everything,” recorded shortly before his death in 2001, in which the author of “The Hitchhiker’s Guide to the Galaxy” shares hilarious accounts of some of the apparently absurd lifestyles of the world’s creatures, and gleans from them extraordinary perceptions about the future of humanity. With almost half a million views, the 90-minute program tops our humanities category. There are plenty more popular programs to discover at our Best of the Decade page, so hop on over and see what else might surprise you. Thanks to all of our viewers, who find our programming on their TVs, computers or mobile media devices, for being a part of our momentous celebration. We promise that our next decade, starting in January, will be even brighter!